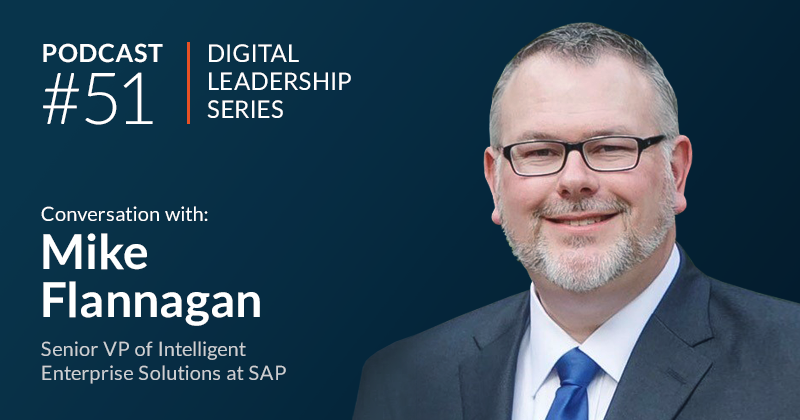 This is the first episode of our Digital Leadership Series, which highlights the insights of digital transformation leaders in industry. 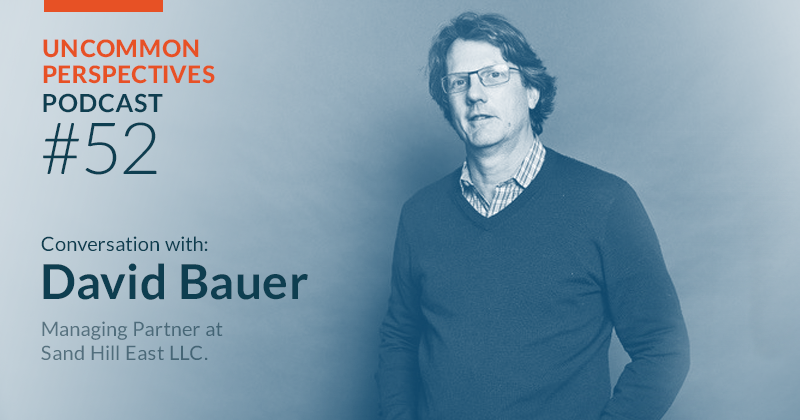 Our first guest is Guido Jouret, the Chief Digital Officer of ABB, who was also a previous guest on our Edge podcast. Common mistakes organizations make early in the process of launching digital initiatives. Our conversation explored Guido Jouret’s core principles around digital transformation, best practices for implementation as well as key lessons as they have applied in his career. Notably, we explore the implications of how the coming transition in transportation from internal combustion engines to self-driving electric powered transportation has implications all across the value chain. Good day everyone, and welcome to Momenta Partners inaugural digital leadership series. 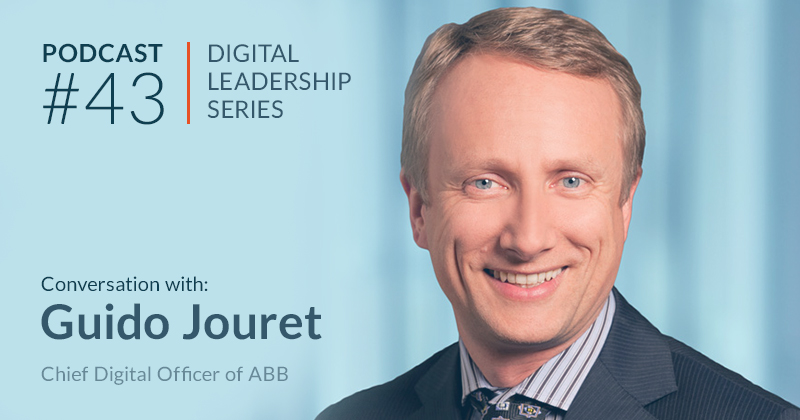 Today we’re featuring Guido Jouret who is the Chief Digital Officer of ABB, and he’s also been a guest on our Edge Podcast. We’re going to be discussing the dimensions of digital transformation, some of his insights and experiences, and look to dive into some best practices and tips for those who are seeking to go down a similar path. Guido thank you again for joining us at Momenta. You’re welcome, thank you very much Ed, glad to be here. I’d like to start with just a very broad question which is, what does digital transformation mean to you? I think for us at ABB it means the digitalization of our offerings, so products and services that increasingly will have more and more of their value come from a digital component. It also means the transformation of our own capabilities, so the way we make our products, the way we sell our products, pretty much us as a consumer also of more and more digital capabilities. Lastly, I think it also means a transformation in business models and culture. So, it is a much broader encompassing term than Internet of Things, of course. I think a lot of people see that primarily as a technology problem, which is how do we inject more connectivity and AI, and all these latest buzz words into the products? But interestingly enough, two-years ago when I was approached to this role at ABB, I remember our CEO, I think every other sentence out of his mouth was about ‘Driving a culture change’, and we can go more into what that means, but I think it’s actually changing the way you do business is probably the more significant element of this whole digitalization and the digital transformation. That’s a great insight. When you look at change that’s external to the organization, how do you think about mapping potential impact on the business, and the organization, and changes to the market itself? First, I think a little bit about the different technologies that are evolving, and what impact them might have. What I think is happening especially now, compared to say the late nineties; in the late nineties we had two main technologies that were driving change, it was the Internet, and the web, and that was already pretty significant. But if you look at things today, take your pick, you’ve got AI, blockchain, augmented reality – virtual reality, drone technologies, so we’re sort of blessed with this cornucopia of technologies that are each evolving at an incredible rate, and what you first can start to do is to say, what’s the rate of change in these technologies, and where will they potentially impact out business; and if you just take one because I know it sounds rather abstract. If we take augmented reality, how it intersects with our business capabilities, for example, is that we have a lot of very sophisticated machines that we sell to customers, servicing and maintaining that equipment as a key challenge; so how do we do that? Well, with qualified people, but one of the ways which we project that expertise and augment that expertise in the field, is by giving people augmented reality masses in technology, so as they’re servicing a piece of equipment, they’re guided through the right steps to take, in the best and safest way. That’s a way in which we can take someone who has maybe less experience, or who is trying to service a wide range of equipment and make them an expert by projecting remote expertise, the augmented reality. So, you have to take on the one hand this technology and what it can do. On the other hand you say, what are the business capabilities and the business offerings that we have, and imagine the intersection of those two. That is a constant exercise, and of course none of these technologies are static, they are all evolving, so you kind of have to say, ‘Well, they’re may be some limitations still today, but at the rate of change that we currently see, maybe next year, or in two-years’ time this will now be ready for prime time. I’d like to flip the script a bit. As you look at what a company can offer, a company like ABB for instance plays in a lot of different industries, but looking from the standpoint of the customer, the customer experience, and the customer journey, how do you assess which customer journeys are most important to your business, and more broadly to the company? If we’re looking at it from a customer perspective you can first of all map out a customer lifecycle, so how does a customer learn that you even exist, choose amongst all the various offerings that are relevant to them, how do they finally get it, how do they deploy it, how do they maintain it and operate it, and then optimize it, and finally how does it get retired and replaced over time? If you then map that whole customer lifecycle you can start imagining what kind of digital capabilities you would need, so for example, on the choose part – the early part of the lifecycle, its digital marketing, ecommerce capabilities. If you then go to the employment stage, you need digital twin, both in the digital product, the version of the product, how do you simulate this product before it gets deployed, how do you do the digital project which is another form of digital twin, which is how do you encourage the collaboration in the digital space, and all the people that need to deploy this. Then finally, how do you simulate the performance of this thing as it’s deployed, and compare that to its actual operation so you can move to predictive maintenance vs time-based maintenance schedules; how do you then do virtual commissioning’s so you can say, ‘Well, what if we make this change, and how would that affect the productivity of our plant or factory?” That’s where you use again, digital twin capabilities. Lastly when it comes time to replace it, how do you then plan for that migration, again using digital technologies to simulate that cut-over to the new technology. So, you can walk through the customer lifecycle, and then through each of those stages say, ‘How do I measure up today in terms of using digital technologies to support that? And, where do I want to invest for evolving that tomorrow? That’s a great insight into a good framework to think about where there are some key leverage points in the customer relationship. But, when you’re looking at putting together a digital transformation initiative, what are some of the factors or inputs that are involved when you’re looking to establish your goals? Ultimately mapping out what you want to achieve through digitalization? What we did first Ed is, we started by saying lets first of all define the digitization effort and my team’s key goals, in terms of three simple things. We want to accelerate the digital transformation of our companies, business units, which means the products, the offerings, the capabilities as we’ve just discussed. So, that we want to make more strategic in terms of creating and capturing more customer value, it’s not something we do because we think it’s cool, we do this because we believe this is very important and valuable for our customers and will have benefit for us as a company. We quickly identified one key enabler, which was, we need a common digital platform, a set of tools, a set of technologies, that all our businesses could use to accelerate the deployment of their solutions. So, if you want to make a connective robot, or a smart circuit breaker, what is the cloud offering, what tools do you have at the gateway, at the device level, and yes, at the cloud that can be reused across all these developments, so that you don’t have to reinvent that wheel every time? How does that platform also enable access to some of those key emerging technologies, such as blockchain, AI, or other capabilities? Lastly, how do we drive this awareness of what we’re trying to do with our customers and partners, and ideally rally others to our cause, so there’s this evangelization communication effort? So, we define those three priorities. What we then did is, we said we can’t do this just centrally in Head Office, this will only work if this really becomes internalized in each of our businesses. So, one of the first things I did when I got here was, I asked every business unit to appoint a digital leader, essentially my direct counterpart that we could work with. They have their development teams, their product managers, their business development folks, so these became essentially my local correspondence in each of our businesses. You hit on a really interesting point which is the importance of organizational sponsorship and leadership. How do you ensure that your digital leaders in each division are empowered, and on the flipside, how do you create a level of accountability so that you can ensure the companywide mission is transmitted all the way to the line-level? That’s a fair point. First of all, it starts with choosing good people, one of the things we’ve done as times has gone by, in some cases we’ve had to make some changes, we’ve put new people into these roles, and of course we have to make it look both inside, and externally of course, that the people in these digital roles had to be seen as these would be highly coveted roles, these are seen as roles where you can make a lot of impact, because we needed to attract the best possible talent. If this is seen as sort of a dead-end job where there’s no prospects, it would be much harder to get the best people. So, first of all we had to say this is important, and that’s been working well. We’ve attracted more and more people into these roles, both inside and outside, we can talk a little bit about staffing mix and what seems to be an ideal combination, but that was the first part. Then we defined some common metrics for success, we said, we want to track the success of our digital transformation in a consistent way, so even if you’re in a different part of the organization you still essentially are marching to the same beat and the same drum, so that’s good. Lastly, we wanted to make sure that as we were driving these solutions that we had a regular cadence of customer outreach, pilot activities, initial project developments so that teams can get more familiar with technologies. We also measure things like external customer awareness of what we’re doing, how they perceive ABB, compared to others in terms of digital leadership. So, anything we could measure, but we recognize you can’t just measure the ultimate metric which would be profitable growth, which is what every company wants. You need leading metrics that are internal in some cases, but also early in the cycle, because it may take some time for all these activities to manifest themselves into profitable growth. That’s a topic I wanted to dive into a bit, which is the different types of metrics that are relevant in the lifecycle of digital initiatives. We just concluded our 4Q survey of digital leaders, and one of the findings that emerged is, what we’ve seen in earlier stages, the metrics for success tend to be non-financial, and in a lot of cases they’re not even measurable metrics. But over time, as there’s a bit more maturity it moves towards financial metrics. How do you assess what’s appropriate at different stages of the digitalization journey, and are there ways that metrics end up being tied back to the budget? Do you have an organization in place? Then we have to talk about the quality of those people, but if you don’t even have the people, then the quality conversation can’t even begin. How many digital solutions do you currently have? How much activity are you seeing? Or, interest from customers. You measure things like pipeline, in your CRM you can start tagging how many digital interactions are we having with customers vs standard non-digital interactions; meaning conversations where we talk about these digital offerings vs the non-digital offerings that we may also be selling. You measure at the appropriate stage these various things, for example we’ve measured things like the sales of digital enabled solutions, that’s more of a mature matric, but I would also say we’re measuring things like the number of devices connected to our platform, the RND investments in digital areas, the number of engineers we have working on software vs hardware, the number of people trained on digital, that’s again a very early metric where as we run internal webinars how do we see increasing adoption, people are starting to register more and more for those courses and those webinars or not. In terms of our CRM we track the digital interactions that we’re having with customers and how that’s growing and evolving. There’s another metric Ed which is a little more subtle, and it relates to the sales cycle, where one of the things we strongly believe is, digital conversations tend to become more naturally systems conversations, as opposed to appointed products, because quite often what you’re doing with digital technology is you’re orchestrating, you’re coordinating, you’re doing that within a plant, or a factory, or across the supply chain, and naturally as now we’re having more of an extended enterprise conversation, more of an all-of enterprise conversation, the level of seniority of the people we have those conversations with goes up, so one of the interesting things we’ve started to look at in our CRM is to say, are we engaging more often now than before with the CXL level, and where are we in the lifecycle of that customer’s buying decision? So, in a mature business maybe you only ever get to meet the procurement department, and you’re responding to RFP. With a digital conversation what we’re finding more and more is, before the RFP, there’s an RFI, Request for Information, and even before that there’s often just a conversation, and those conversations increasingly are starting to happen at a CXO level. So, what I really like is when I start to see things like, ‘Oh, the Chief Operating Officer of one of the world’s largest food and beverage companies has invited us to have a conversation on digital transformation, for them’. That is something which I think is really nice, because that doesn’t translate into an order tomorrow, but what we have for the first time is early visibility to a customer’s desire to do a significant transformation effort of their own. Are there ways to build a measure of functionality into what you are assessing, or what you’re measuring, so that you’re able to execute course corrections, and be nimbler in terms of tuning your process in an ongoing way? That’s a great point, this idea of agility, the ability to take feedback and adapt. This is of course one key element I think of digitalization, for a simple reason that in the industrial space, the market that we serve, we’re dealing with long-life assets, we’re dealing with transformers, motors, products that last for decades. This is the very opposite of what’s happening in the consumer space where people are replacing thing like their phones every 18 to 24 months. So, in the industrial space that long cycle process, as well the significant risk associated with that execution, like if you screw-up your electrical infrastructure in your factory, people will get electrocuted, could get hurt or worse. So, there’s a certain natural aversion to improvisation, let’s just try stuff, let’s just throw stuff against the wall and see what sticks. I would say sort of Mark Zuckerberg’s early model of move fast and break things, doesn’t go over well in the industrial space. On the other hand, in a digital area, customers do have I think, a natural affinity and interest in trying things, because this is all relatively new, and what we found is there are some customers who say, ‘Look, until this is completely established, baked, proven with many of my competitors, don’t come and talk to me’. That’s fine, but for everyone that says that, there’s also an equal number of customers who are saying, ‘You know what? I want to take some sensible risks, I want to do some rational experimentation, and I don’t mind if you’re offer in this area is still evolving, it’s still something that could change over time, but I want to be part of that. 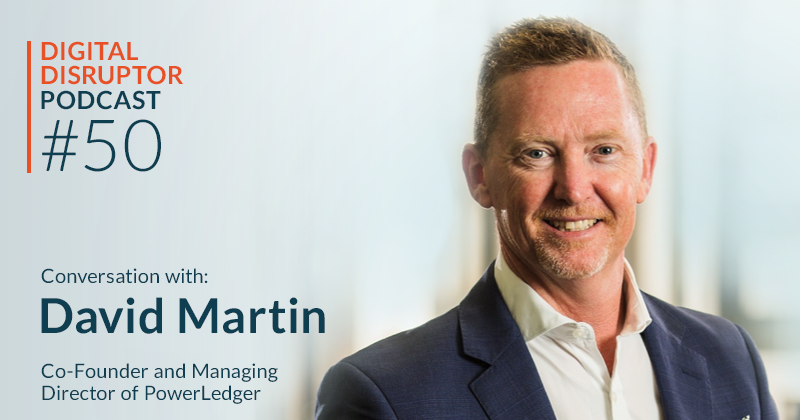 Because by getting early access to it, I can shape it, and by being one of the first in the world to deploy it, I gain competitive advantage by doing that’. The key is of course to find those customers, and then to adapt and evolve with them. And of course, the people who do that are probably not the same people who are trying to maximize availability and stability of an environment to four nines, six nines, and beyond of the mature part of that customer’s infrastructure. That’s one of the reasons why we talk about a culture change, it’s not so much that there is a good culture, and a bad culture, you almost need to be somewhat schizophrenic, and incorporate these two aspects at the same time; you need to have part of the company continue focus on highly reliable and predictable deployments, whilst another part of the company is more agile, more adaptable, can course correct, and knows that not everything that will be tried will make it into production, or in fact may even work. That ties nicely into Clayton Christensen’s work on Disruptive Innovations, where of course it does highlight the inherent challenges of balancing disparate interests of an innovative or disruptive technology and ensuring that existing operations and customers are happy. There are a number of different approaches, certainly that I’ve seen that have worked out to be successful, including what people refer to as Edge Innovation, or having really discrete skunkworks or innovation labs. Are there some best practices, or key principles that come into play in your experience, when dealing with larger industrial companies? Yes, I think so. Not only for industrial companies, I’ve done internal incubation also in my previous role as the Head of IoT for Cisco, and what I’ve learned from these various experiments is, that I think Edge, and of course the name of your podcast is of course Momenta Edge, but at the Edge is where you get the best early sensing, so, you get insights. But I would distinguish between sensing and execution, what some people also try to do is, they do Edge execution, meaning developing it in a remote location, close to the customer which in principle sounds good, however you end up with a lot of stranded innovations, because they tend to be sub-optimal when it comes to resourcing, staffing, or just even getting the attention of the mothership, the Head Office. So, you see a lot of these stranded skunkworks at the periphery of any large company, things that were tried, maybe even had one or two pilots, but never actually became mainstream. I think you have to combine Edge sensing with more central execution, and I think there are a couple of ways to do that. Create dedicated incubation teams, that essentially whose mandate is to take some of that Edge sensing, but then deploy it closer to the centre, with closer visibility to senior management. To do a potential spinout, which is that you start, but in order to get the necessary capital investment, at some point you set it up as a separate legal entity, with its own equity structure, and you sell some of those shares. We’re starting to see examples of that happening with GM and Cruise, Alibaba, and Alipay, so there are companies that are starting to explore the spinout capability, as a way of counteracting perhaps some of the internal antibodies that might otherwise snuff-out these early ventures, or these early activities and essentially give rise to what Christenson calls that innovative demand. So, I think ‘The Innovator’s Dilemma’ is now probably over 10-years old, and it’s one of those books that is very seminal and has a lot of truth in it. But I do think companies are adapting, learning and creating new innovation models to try to prevent the innovators dilemma from becoming a curse. Yes, it does bring out a great point that innovation of course does often run into those internal antibodies. I think the example of Walmart trying to launch their own e-commerce efforts, unsuccessfully, several times, and then ultimately acquiring Jet.com, that was on the fourth iteration, ultimately, they had to go outside the organization. But again, you certainly do lose quite a bit if you’re working in… if it’s a skunkworks or its independent, and you don’t necessarily have the access to particularly the collective knowledge of industry process and technology that is so specialized and so valuable in industrial firms. I wanted to turn the question to the process of evaluating ideas and challenging them internally. Are there some thoughts that you have about, what are some best practices for a company that’s now evaluating, having that initial conversation? How do you figure out where’s the best approach, and deal with the challenge of so many choices? That’s a great point Ed, and that’s one of the roles that my team play. So, one of the values that we bring to our divisions is that we act as sort of a natural internal sparring partner, personal trainer if you will! for essentially strengthening their digital thinking, so that they may have a set of ideas, and they invite us to come in to help either give external points of view, bring in customer interactions, or just fund the experience that we have as a team, from having worked in other industries and using technology in different spaces. I think about this in a couple of ways. There’s almost like a natural progression of digital offerings, which I call a Masloff hierarchy of IoTs, you start with monitoring, you go to optimization, you go to software to find products, more convergence and then finally new business models. So, it’s almost like you can ask an illogical question to say, ‘In your digital portfolio, how many of them are still at level 1? How many are up in level 2? Because the implication is that the hierarchy go in the stack, the more value you can create, and the more value you can keep. So, that’s a natural, almost like a maturity model of how sophisticated, how advanced is this digital portfolio that you have. That’s a little bit of a technology in perspective, but certainly by moving certain applications to the cloud where we can now get data from multiple customers, and deployments, we start creating potentially network effects. And as you’ve probably covered in other podcasts, the power of platforms and network effects, can’t be overestimated. So, therefore if we can latch onto one of those, that can be very powerful as well. The third dimension is to say, ‘Where’s the unmet need?’ So, in many companies, especially companies that have been around for a long time like ABB, for 130 years, you have well-established customers and segments who understand them well. But what you may not realize is, there’s a whole unmet need in the market for solutions, because today you’re offering, whilst very good, maybe extremely high-end, and that there is a bottom of the pyramid approach to looking at a market by saying, ‘Where are people who would like some of this? But need it to become dramatically simpler, dramatically easier, dramatically cheaper, could we potentially use these innovative technologies, to provide back to them? And so, we naturally have these sorts of three-dimensional conversations with our businesses as we test and explore their digital portfolios. That’s again a great insight. How do you ensure, given that technology plays such a pivotal role in digital transformation, that there’s appropriate level of collaboration and cooperation between the information technology organization, and the lines of business that may not necessarily be as up to speed on the potential, or may not have as good a command on the intricacies of information technologies? We have three constituencies if you will, on the one hand there’s clearly our business units, divisions which are developing these products, they have their own RND people, and in some cases very up the snuff with what’s happening in digital technology, sometimes not as much. The second source of that potential information is our corporate research teams, which are essentially a team of about 700 people that are dedicated across material science, electrical science, but also computer science, so they are constantly doing evaluations of things like 5G, or real-time systems, or blockchain, and bringing those key nuggets back to the businesses to say, ‘Have you thought about deploying this? There’s an interesting capability you might not be aware of’. Then the third is my team itself. My team is global, we’re spread out, but we have the people that are the closest to the cutting edge of technology sitting here, around, based in Silicon Valley. And of course, we’re blessed with the fact that there’s so many interesting companies, large and small in the valley, that are really at the cutting edge of many of these areas, and so we’ve reined those insights and those capabilities back, as we interact with the businesses, and develop their roadmaps, their thinking, and their business strategies. That sounds like a really effective approach to have that upstream collaboration, so when you get to the point of ideation, or beyond ideation into pilot and execution, its already organically baked in the division, that collaboration. But on the flip side, I’m sure that you have experienced some sorts of resistance from existing businesses, and risk; how do you think about managing both the business risk and organizational challenges that come from implementing potentially disruptive digital strategies, within a large business? That’s a good point. Let me start with some of the key resistance areas, and some of the objections that sometimes come up. So, I would say, the first one which I found a bit surprising, and this didn’t come so much from people inside the company, but for example the investment community that’s looking at us as an investment; one of the things that some of these investment bankers were saying was, ‘Why do you want to do all this work in extending the life of these assets by doing better, say, predictive maintenance for example? Because if you make a motor or a circuit breaker, or a transformer last longer, then there’s less need by your customers to replace them, and then your overall sales will go down’. I thought that was a really interesting perspective, because it almost seemed to suggest it’s a kind of analogy of, if you make my car last longer, I don’t need to replace it as often. Of course, that assumes that the whole world is essentially a zero-zone gain, that there’s a fixed amount of budget that we can actually address. What we’re doing with many of these digital technologies is, we’re expanding into adjacent budgets, we’re expanding into new areas, tapping into costs, tapping into efficiencies that were either internal to those customers, meaning I have a whole maintenance group who was basically doing time-based maintenance. If you now say I can use that more effectively, I don’t have to have as many maintenance technicians, so therefore I’m willing to spend more on eventually your products, and your service offerings than before, because I’ll make up the savings on these internal inefficiencies. So, part of the key thing about digital is that it helps to cross some of these budget boundaries. So, it allows you to expand but it could create as a result almost like a perverse incentive, not to do digital, because people feel like, ‘Oh, hang on, wait a minute. When products blow up and degrade, that’s a good thing because it leads to replacements’. So, that was one I would say external pressure or resistance to change. The second resistance to change, or potential resistance is, and I alluded to it a little bit earlier, when you’re dealing with things that specifically can be life-threatening, mission critical, potentially have a huge impact; if we think about a transformer that could explode, or people could get electrocuted, availability, stability, safety, is all. Therefore, if you want us to come in and start doing some tinkering, that’s probably not the first place to start, you want to be doing your tinkering with digital technologies in things that are probably somewhat more forgiving, and a little bit best mission critical if you know that it’s going to be early in this process, with early technologies. I call that, working on the wrong target. If you’re trying to reinvent products and technologies that have been deployed over decades, and made reliable over decades, you can only do things probably there in a more incremental fashion. If you want to do things that are bigger and bolder, you probably don’t want to start there. So, that could be one source of resistance. The third could be customers. So, who is more willing to embrace something innovative and new, and there I would tip my hat to Geoffrey Moore because in the ‘Crossing the Chasm theory’, he basically describes the gorillas and the chimps; the established big customer who is number one in their industry has less of an incentive to embrace new things, because they potentially have more to lose. Whereas, the number two, three, or four in the market is willing to try things, because they would like to become number one, and they might see this technology innovation as a way to do a bit of an end-run around the incumbent, the established larger player. So, when we as a team go and work with our businesses and say, ‘Can you introduce us to some customers?’ there’s a natural inclination to take us to their biggest and best customer, because they know them well. Ironically, we may actually want to go to them but later and start with customers they may not know nearly as well, that are maybe also a little bit smaller, and start there. So, that’s a natural source of potential resistance as well. I’d like to expand on that point, given that ABB has articulated I think quite eloquently, the coming shift in transportation from internal combustion engines to electric and autonomous vehicles, and that it will impact how electric grids are architected; there’s an enormous amount of change, business model change involved with that. I’d love to get your thoughts of some of the lessons and the principles that we’ve been talking about in digitalization, how that applies; not to the whole ecosystem, but to some of the aspects of this big shift away from traditional gas-powered cars, to a vision of autonomous fleets of self-driving cars. That’s a great one, I think you’re right. This transition is almost to a whole new architecture if you think about it, because you’re talking about this internal combustion architecture which is involving oil companies, gas stations, and distribution and automotive companies. This is being reinvented, and of course by a whole set of different players, you’ve got the utility companies, the private enterprises people setting up, charging networks and the whole lot. So, on the one hand we promote this change by sponsoring ABB Formula E, so this is quite exciting, its visible, it’s very high-end, lots of innovation. We think that Formula E is going to take over Formula 1 in terms of innovation and progress, because Formula 1 technologies have plateaued and there’s not a whole lot more that can be done there. So that’s one part, you make it fun, you create some sizzle, you create some excitement. However, the real work then has to begin in terms of creating and filling out all elements of this architecture. Let me just use one example, if you want to electrify the trucks that are being used by delivery companies, just to take one segment, which is, not passenger cars but just delivery vans, you’ve got the UBSs and the FedEx’s of the world who are being pressured by local governments to clean up their trucks as they enter cities, then downtown urban environments. But they need to know how they can charge hundreds of trucks, and each truck has a big battery and therefore could consume as much as essentially a large supermarket; so, if you have 100 trucks coming home every day to be charged, you’re going to place a huge load on the grid! So, then we work with the grid companies and say, ‘Alright, how do we now start to create an infrastructure that can flex and adapt, and for the grid companies in some ways they’re quite excited by this because they say, ‘Wow! We can essentially tap into a whole new revenue scheme operating these charging networks, at least in some cases, but it’s also going to potentially place a huge load on the grid, and therefore we had the deal with volatility of demand, and, ‘Where’s all this power going to come from?’ and, ‘We need to talk about storage of energy behind the meter, and the coordination to microgrids’. So, this orchestration of an entire ecosystem with companies that make trucks, companies that operate trucks, to the utility companies that are involved in providing the grid to perhaps a whole bevvy of small software companies that are going to be providing various complementary solutions. It’s a fascinating dance that has to get coordinated. This is what I think is a great expression of the power of digital, because it’s really the transformation of an entire industry. We see this Ed not only in mobility, we see the same thing happening with food, water, and energy itself; I’ve talked about this a little bit in the past where I basically described this as, we need to change our planetary operating systems, because the way we provide food, water, energy, transportation, needs to get reinvented, and the digital web is a key enabler of that. That’s a great explanation, and it really is just remarkable how broadly we’ll see change come in coming years. I just want to touch on any common mistakes or misperceptions that you see organization make early-on in the process of launching digital initiatives? I see a few, and of course we’ve also made a few, so maybe I share both the things we’ve done, as well as what I see others doing. But I would say first and foremost, it shouldn’t be seen as something that’s merely cosmetic, it’s not a look of paint on an old thing, although it’s tempting to start with that and just say, “look we’re digital too”. I also think, looking at this as primarily how do we adopt as many of these advanced technologies as possible, is also sub-optimal, I think that’s where you’re going to have little enduring change. I think you really have to look at this as a full reinvention of your business over time, but you can’t do that as a revolution because you can’t stop serving the customers you have today, you can’t stop selling the product which many of those customers find good for their businesses today, you have to do this in an evolutionary path. The other mistake I think people make is that they hire either exclusively from within, or exclusively from without! I think both extremes don’t work; if you hire only outsiders, you get organ-rejection, the rest of your organization just doesn’t dissimilate them. If you only hire from within, you’re not going to get enough of that new thinking, and technology understanding, and a bit of a new perspective that you also need. One of the things I find very surprising, whether it was in my previous roles doing internal incubation of this role at ABB, somehow, I’ve always ended up with about a 50/50 split of people in my team that are both from the inside, as well as from the outside. I think it’s also recognizing that expectation management is probably much more important, than even in some sense quality of execution. I think quality of execution can happen and it’s not as mysterious as somehow people make it out to be, but what can catch you every time is a mismatch in expectations. So, one of my favorite expression is, ‘Any sufficiently advanced technology being indistinguishable from magic’, that’s from Arthur C. Clarke; ironically for people who don’t know very much about digital, they can expect magic, especially when you start throwing around terms like, blockchain and artificial intelligence. Then you fall into this expectation curse which is, either people expect this stuff to be magic today, or on the other extreme, they don’t expect this stuff to work at all. One of the key things that is important to remember, especially with technology, where that technology is today is much less important than its rate of change; so, for example, battery technologies are improving in terms of power density by 12 percent per year, so if you’re skeptical about the migration towards electric vehicles, just wait a little while, because it’s going to be the cheapest car you can drive, and it will be the most reliable car you can drive. How do I know that? Because you project that curve forward again, you look and see what that does when it intersects with the price of an internal combustion engine car, which is just a short number of orders, or years away from where we are now. If you then do the same with looking at things like the quality and the improvements we’re seeing in AI technologies, we can’t yet hand over the keys to a driverless car today; however we also I think probably expect a little bit too much from that technology, and if we instead reframe it as we don’t expect full autonomy, but we’re moving towards autonomy, and what we plan to have are humans who can intervene when the car finds itself in a pickle, and it says, ‘I don’t quite know what to do’, then I think we’re only about a year or two away from that getting deployed in some cities around the US. So, I think expectation management is the biggest problem, and the key lesson learned that if you don’t set those expectations, they will be set for you! And then you will be on either side of this sort of chasm of either nothing will work, or why isn’t it all working perfectly already? Those I think are some of the key lessons learned. Those are great insights, and its timely that you’re talking about cost curves because Tesla has just announced that they want to drop the list price of their $ 45,000 to $35,000, which puts it squarely in the sweet-spot of new car prices. Another interesting point, I was listening to a friend of mine speaking at an event this week, he made this comment that evolution and revolution are many times the same, it’s just what differs is the rate of change. And I think your point about expectations are that expectations do need to be calibrated to that expected rate of change. Yes, and we see that in the industrial world in particular where in terms of adopting digital technologies, many of our customers and the industries they’re in, are still relatively early in terms of technology adoption curve. The size of their economies and their markets is massive, so when they start to move, when they actually start to embrace this, I think we will be amazed at just how big that’s going to get. But, in the short-term you may see not a lot of change, I think we will tend to underestimate that change in the long-term, as Bill Gates usually says, I think this will come to surprise us. The drivers are not because it’s nice to have, we need to get away from carbon emissions in terms of our industrial economy, we need to go towards renewable energy generation for that. We need to have energy storage as a key component, we need to go towards much more productive manufacturing if we’re going to boost the wages of blue-collar workers. So, there’s all these main economic environmental drivers, so that the need to do so is clear. I think what is now being built is the capability to do that, and then how we drive that rate of change, so that we can’t simply shut things off, and say we’ll be back in a couple of years with a new thing; we’d have to do this whilst we continue to operate the modern economy that we all rely upon. Absolutely, we have to manage those disruptive dynamics in every aspect to the economy. This has been an amazing conversation Guido, and I just want to wrap up by asking you if there is something you wished you knew when you were starting out the digitization journey? Or, if there was a piece of advice that you would share from what you’ve learnt, and anything you might have done differently, what would that be? I would say in general if I look at regrets, I would say, could I have gone faster, or did I go too fast? Many times, I would say I probably could have gone faster on certain things, so it’s not that the wheels are flying off, that’s the problem; the problem is usually I was maybe a little bit too conservative and could have gone even faster. The key thing to do which I think we did do which is good, is continuing to have strong CEO and CXO support, so without strong support from the top none of this can happen because change is hard. I would say probably continuing on an ongoing basis to manage and set expectations, is probably about a third of the role of the Chief Digital Officer. 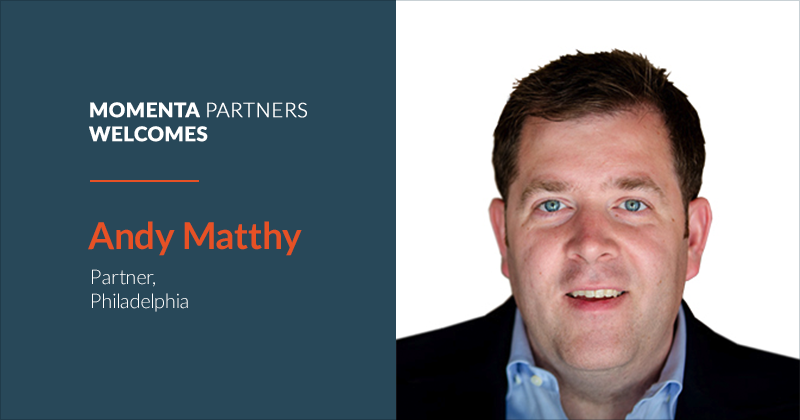 This is Ed Maguire Insights partner at Momenta Partners, with an episode of our digital leaders’ series. Please check our website at momenta.partners for archive versions of prior podcasts, webinars, as well as resources to help with your digitization journey.